HSSC Female Supervior Syllabus and Exam Pattern 2017 Advt. 7/2016 Category No. 17 & 18- HSSC Food and Supply Officer 2017 Advt. 7/2017 Category No. 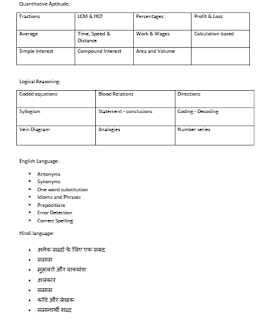 3 Download Exam Pattern in PDF at www.hssc.gov.in. · 100 questions will be asked in total and each question will be of 2 marks. 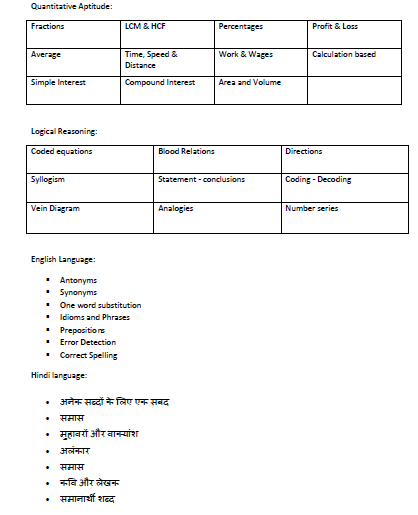 · Total exam will be of 200 marks and duration of exam will be of 90 minutes. · 75 % questions will be asked from subjects like English, Hindi, Aptitude, Reasoning, General Science, History, Geography, Economics and polity. · 25 % questions will be asked from general knowledge of Haryana state. § History of Haryana § Geography of Haryana § Culture and Administration of Haryana state. § Current Affairs of Haryana state. 1. Geography of India & Haryana. 2. History of India & Haryana. 5. Current Events – Haryana, National, International. 7. Geography of India & Haryana.